We have been waiting to see if there was going to be a budget agreement to prevent a government shutdown for much of the first 100 days of President Donald J. Trump’s administration. Even though it looked like there would be no hope of reaching a joint resolution given the partisan nature of Congress these days, they were able to do just that at the 11th hour. However, this last-minute budget resolution did not merely put off a government shutdown until at least September 2017. 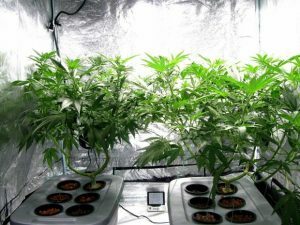 It also prevents the federal government from cracking down on medical marijuana in states where it is legal, according to a recent news article from ABC News 7 Denver. The lengthy budget deal contains restrictions that prevent the U.S. Department of Justice or any of its subsidiary agencies including, but not limited to, the Drug Enforcement Administration (DEA) and the Federal Bureau of Investigation (FBI) from using any of its budgeted funds to crack down on medical marijuana in a list of states included in the bill.For reasons that are not entirely clear, there were six states that have or will have legalized medical marijuana that were not included on the list. One of these states is Indiana, but they only allow medical CBD and not medical THC. While THC is often considered the active competent of marijuana, and is the one that has psychotropic effects, CBD can have the effect of pain reduction without the patient getting high. One of the concerns with this language is that is does not pertain to the crackdown of state legal recreational use of marijuana in places like Colorado, Washington state, and now California. This is leading to some concern, because the current attorney general, Jefferson Beauregard Sessions III (aka Jeff Sessions), has said that “good people” don’t use marijuana and he will enforce the laws as he sees fit, noting that marijuana is still listed on Schedule One of the U.S. Controlled Substances Act of 1970 (USCSA). This means that for those the cannabis industry in Los Angeles, and Orange County, there is still a great deal of flux in the state of the laws, and there is a risk of federal crackdown. The best thing you can do if you are in the industry is to speak with an experienced cannabis regulation attorney in Los Angeles as soon as possible. When you do see an attorney, make sure to ask how long he or she has been working with clients in the medical marijuana or recreational marijuana industry. There are many attorneys that have only entered the business recently, and only a few have been working with these clients for years and are genuinely familiar with the needs and challenges of those in this growing cannabis industry.